Are you having a good day, today? Will it be the best day ever? 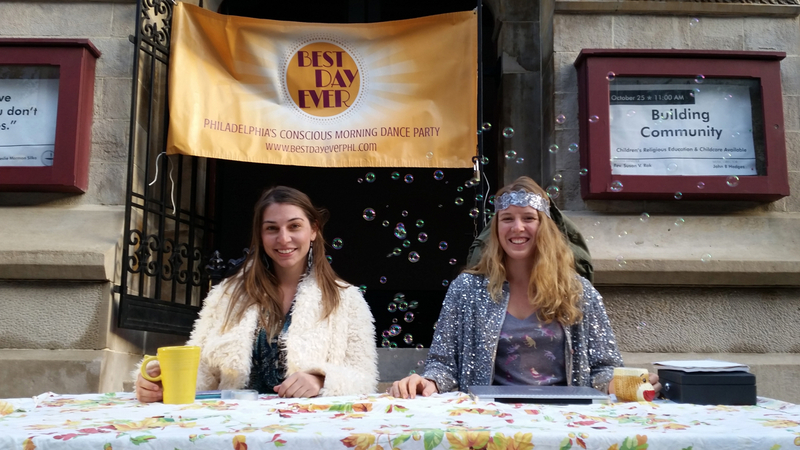 Best Day Ever is a monthly dance party in Center City that starts at 6 a.m. That is when producers (aka “joy bearers”) Caitlin Rae Keleman and Meggie Conner set up a table in front of the First Unitarian Church at 21st and Chestnut streets, donning glitter and enveloped in floating soap bubbles, selling tickets for people who want to go inside. For those who keep walking, they simply wish them the best day ever. 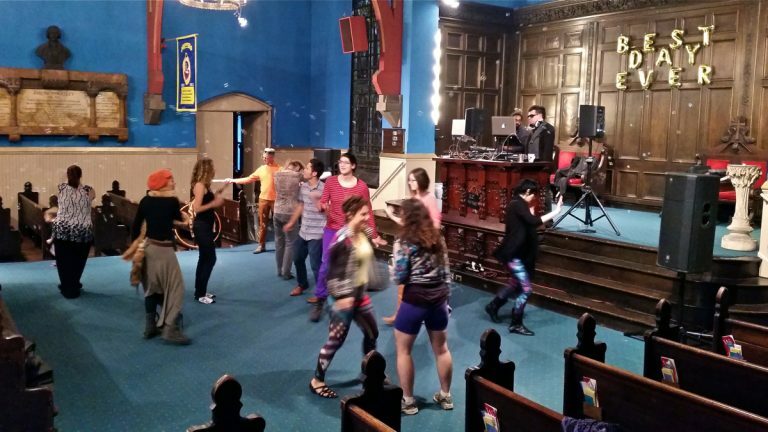 The morning starts with yoga at sunrise, then DJ EZ Almighty spins electronic music from the church pulpit. Unlike nightclubs, the sanctuary is extremely well lit, and completely sober. Dancers are propelled by kale and wheatgrass smoothies, fresh-baked goods, an in-house massage therapist, and lots of coffee. DJ EZ Almighty, who works up and down the East Coast at Burning Man-related events, says spinning first thing in the morning is worlds apart from spinning until the morning. 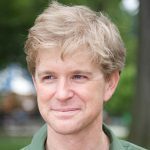 Tim Waller, a fungal phytopathologist based in South Jersey (“I study fungi that hurt plants”), made a big detour in his morning commute. Following the dance party, he will drive back over the bridge to his job in the Pine Barrens. The Best Day Ever is modeled on the Daybreaker and Morning Gloryville raves that have been franchised in many cities. After reaching out to those organizations to inquire about starting a Philadelphia party, Conner and Kelemen decided to do it independently.